In today’s celebrity-driven world where so much emphasis is put on appearance, imagine how tough life must be for adolescent girls permanently disfigured by burns or injuries. Corona, CA – Angel Faces® announces its 9th annual retreat for girls with severe burn and trauma injuries. Most of the girls at the retreat have been severely burned and while they are lucky to have survived, these courageous young women have known unimaginable pain. Their accidents range from car crashes, house fires, school chemistry experiments, bonfires, gas explosions and even costume making. Some of these girls have also had to deal with the loss of a parent or sibling in their tragedy. Today, they face new challenges, stares, teasing, and unwanted questions. Girls from across the country and abroad come to the Angel Faces® retreat from June 17 – 22 at Glen Ivy Retreat Center in Corona, CA. This year, the girls are from Los Angeles, Phoenix, Denver, Dallas, San Antonio, Miami, Cleveland, Jacksonville, Detroit, Chicago, Tennessee, and England. When the girls arrive at the retreat, they often believe they can never have normal, healthy relationships. “Will I ever get married looking like this?” “Will a boy ever love me?” “Will I ever be kissed?” These are the questions they ask. At the Angel Faces® retreat, the girls work closely with licensed, clinical therapists, corrective cosmetic professionals, and meet other girls that face the same struggles. The end result is a new and hope-filled start for the girls who leave armed with the tools to create the life they want and overcome the challenges of living with their injuries. Angel Faces® began out of Lesia Cartelli’s own pain. Her desire to heal from a serious burn injury over 50% of her face and body at the age of nine in a natural gas explosion encouraged her to dedicate and create the best possible program for adolescent girls who suffer similar disfiguring burns and other traumatic injuries. Angel Faces® is a remarkable healing retreat that transforms the lives of these girls and is testament to Lesia’s spirit – something the fire could not take. Before becoming CEO of Angel Faces®, Lesia Cartelli launched the first camp for burn-injured children in southern California. During a 17-year career that followed, she developed and directed after-care programs for burn-injured children and adults, and founded the first national retreat for adults suffering from severe burn injuries. In addition, in recognition of her untiring efforts at Angel Faces®, Lesia was presented the Heart of a Woman Award by Dr. Phil and Robin McGraw on the Dr. Phil Show. Emmy award-winning TV reporter and host of PBS’ A Place of Our Own, Elizabeth Sanchez, recently joined Angel Faces® as Executive Director. In the news business, journalists often tell the stories of people who have been injured physically and emotionally, but the needs of those affected are rarely met – and often it is only temporary. When she learned of Angel Faces’ support, inspiration, and dedication to empower adolescent girls who need it most, she knew she wanted to be a part of supporting young women to better themselves in a critical window of their lives. For more information and messages of hope from girls who have attended the retreat, please visit: www.angelfacesretreat.org. Alameda, CA – Sixty-six percent of all caregivers in this country are women, a number that is increasing as the population ages. Many of these women are so caught up — even trapped — in this role they seriously neglect their own needs, which can lead to physical, emotional and financial burnout. In The Caregiving Wife’s Handbook: Caring for Your Seriously Ill Husband, Caring for Yourself (Hunter House Publishers) by Diana B. Denholm, PhD, women will find the support and tools they need to get through this stressful time with compassion while keeping themselves emotionally whole. Since caring for an ill husband has traditionally been seen as a “wifely duty,” the caregiving role becomes especially complex when the husband is dying of a long-term illness. Every day brings a new set of challenges, demands, adjustments, and often unwelcome changes. It is a time when support and clear thinking are desperately needed — and this book can help! As the primary caregiver for her husband for over ten years, Dr. Denholm learned firsthand how little help is available to women caring for dying husbands. Over time, she combined this experience with her training as a practicing therapist and communication expert to develop the tools and strategies she shares in this book. Dr. Denholm’s twin goals are to help wives communicate with reluctant spouses about important issues and to take care of their own physical, emotional and practical wellbeing. She includes real-life examples from six case histories, stories that help readers discover they are not alone and that many of their emotional responses, including negative ones, are common and normal. Receiving five-star reviews on Amazon.com, Dr. Denholm was also recently featured in a lengthy article in the New York Times and her timely book is a finalist for the ForeWord book of the Year, drawing much-needed attention to a critical issue that affects millions of women yet is hardly ever discussed or explored in social discussion or in the media. The Caregiving Wife’s Handbook addresses sensitive issues with insight and directness and offers clear-headed solutions. The helpful list of 50 Do’s and Don’ts and information on how to manage emotions, how to approach awkward subjects, and how to negotiate hot-button issues are practical and empower women to bring more balance, free time and even fun into their lives. Diana Denholm, PhD, LMHC, holds a doctorate in psychology, is a board-certified medical psychotherapist, and has been in private practice for over thirty years. She has pioneered many of the communication and self-care tools she shares in this book and she has used these methods successfully with her many clients. For more information on this timely and important book, visit: http://www.hunterhouse.com. Minneapolis, MN – Phil Hansen, a multimedia artist known for his experimental approach and offbeat techniques, is jumpstarting your creativity in his first book, Tattoo A Banana And Other Ways To Turn Anything and Everything Into Art (Penguin), bringing his outrageous creativity to a wider audience. Tattoo A Banana is a simple, step-by-step guide to creating art with anything at hand – like a piece of toast, your own fingerprints, or a stack of marshmallows. Part handbook and part manifesto, this engaging, inspiring, and downright entertaining book takes us inside the mind of a groundbreaking artist — and encourages us to create, reimagine, and make something out of (almost) nothing. Hansen’s PITW projects are demonstrated through fun, fast-paced instructional videos that are as entertaining as the projects themselves, including how to paint with Coca-Cola, constructing a cardboard beard, and printing images on toilet paper. Phil Hansen is an internationally recognized multimedia artist who works at the intersection of traditional visual art, pointillism, and offbeat techniques, using media that connect to the subject matter, such as karate chops, tricycle wheel imprints, burger grease, and worms. His work has been featured on the Discovery Channel, Oops TV England, Japanese TBS, Clips Mania Germany, CNN, CBS, Good Morning America, the Rachael Ray Show, Dr. Phil, and many other media venues. As a commercial artist, he has worked with clients that include Grammy’s, Skype, Diesel, Arby’s, Ripley’s Believe it or Not Museum, The Cherry Arts Festival, and dozens of other large and small companies. Los Angeles, CA – Perfect for anyone planning a summer wedding, Eat Drink and Be Married (iUniverse) by Rebecca Bloom will resonate with every woman who has ever attended a destination wedding of a friend, only to realize that when best friends come together they bring waaaaay more than ugly bridesmaid dresses in their baggage! Funny, fast-paced and realistic, Eat, Drink and Be Married puts readers in the middle of college girlfriends who are attending their former roommate’s wedding in Lake Tahoe. While these best friends rehash old times, they discover they are each hiding a piece of themselves from one another. As the flaws in their own relationships surface, it takes a bottle of booze, a mountain of laughs, a bucket of tears, and three days in the company of those who know and love them the most to force each one to step out of their normally-organized lives to come to terms with their past before walking down the aisle. Hilarious, candid and tender, Bloom’s rich dialogue grabs the reader’s attention from the very first page and holds them to the unforgettable end. A book that seems destined to become a part of new wedding traditions and memories, Eat, Drink and Be Married should be on hand for anyone planning a wedding. With its diverse, easy-to-relate-to characters, readers will laugh and cry as they are reminded of the innermost workings of their closest relationships – but they will never be bored! Receiving great reviews on Amazon.com, Eat, Drink and Be Married is an engaging read that shows what happens when women get together with best friends at a destination wedding, yet realistic enough to make readers not a little envious and wishing they were a part of the entertaining world that surrounds Bloom’s endearing characters. Rebecca Bloom is proving herself to be a writer to contend with. Her previous novels, Girl Anatomy and Tangled Up in Daydreams were featured in numerous national and regional publications, including The New York Times, Los Angeles Times, New York Post, In Style and many others, as well as various electronic outlets including EXTRA, Good Day Live and Dallas Morning News. For more information on this engaging page-turner that every modern woman can enjoy – please visit: www.rebeccabloom.com. This Was A Cry For Justice – But Was Anyone Listening? Ellaville, GA – Jackie Carpenter always believed she was a ‘woman of faith’ – but when tragedy struck her family, she faced the stunning realization that her faith did not even begin to measure up. Scheduled for release this fall, A Cry for Justice by Triple Horse Studios is an emotionally-charged movie that tells the true story of the worst time in Jackie Carpenter’s life – when her son was fighting for his freedom after being charged with felony murder. Jackie Carpenter was an ordinary businesswoman and mother when her phone rang that fateful day in 2008. Believing she had been blessed with an almost-perfect life and family, Jackie’s idyllic world changed the instant she received her daughter-in-law’s frantic call telling her that her son had been arrested after he accidentally shot and killed a would-be thief while protecting his property. Little did she know the long, hard fight that was ahead, trying to prove his innocence. After her son was arrested, Jackie had trouble dealing with that inner voice that asks: What happens when a good person who serves God as a Bible teacher and church organist is struck by a tragedy and assaulted daily by Satan? What happens when you turn to God but cannot hear Him speak? What happens when you pray for a miracle and nothing happens? What happens when a person of faith discovers she lacks the faith to overcome tragedy? A Cry for Justice is based on Jackie’s two books that tell her story. The Bridge: Between Cell Block A and a Miracle is Psalm 91 came first and told the story of how Jackie brought her family through the initial crisis. Georgia Justice: A Journey to Faith (Xulon Publishing) followed and relates the author’s journey that began with her belief she had enough faith to lean on God during a crisis but then, after her son’s arrest, she came to the stunning realization that the faith she had did not even begin to measure up to where it needed to be when tragedy struck. For information on Jackie’s books, please visit: www.bridgetoamiracle.com. A Cry for Justice is both electrifying and poignant in its portrayal of this courageous woman’s battle against mind-numbing fear, while never losing sight of her faith in God. It is a guide for believers and non-believers alike, helping them take the first steps to escape the tightening grips of doubt and depression and begin the journey to renewed and strengthened faith, hope, and ultimate victory. A Cry for Justice will linger in the hearts of moviegoers long after the movie ends, and its moving account of tragedy, trial and triumph is sure to help those currently facing a crisis and those who have no idea a tragedy might be a part of their tomorrows. 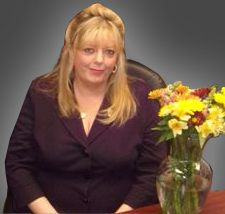 Jackie Carpenter has been a featured guest on television, radio and numerous newspaper articles. For more information on this author and her extraordinary story of faith, hope and love, please visit her website at: www.georgiajusticemovie.com.